When we have a better comprehension of how Implanted Thoughts and mind control implants are used, we can better discern the agenda and refuse to participate with it. If someone set out to design a society that drives people to worship self-destruction, self-absorption, and materialism while driving them to escape the inner emptiness through self-medicating and addiction, you’d have the general blueprint of mind control that is used in our society. Essentially, this is about blocking perception of reality by jamming neurological receivers and hijacking the brain so that the masses cannot decode or perceive what is really going on. Many of us can feel the pressure to create soul disconnection and AI assimilation in the masses, has been turned up. 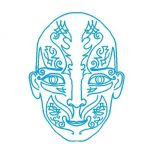 The antidote to mind control broadcasts and clearing implants is deeply connected with developing our spirit and refusing to become a slave to automated impulses. For this reason we will look at the most common forms of Implanted Thoughts and implants and how to identify them. THIS MEDITATION IS IN THE ASCENSION MEDITATION KIT. This meditation should be done at least 2 times a day once when you first get up before you do anything else and right before you go to sleep at night. Do this continuously and you notice things getting better in almost every way. Here is some background about the elements within the Meditation. The 12th Dimensional Self is your Christ Self- your true immortal self hood. 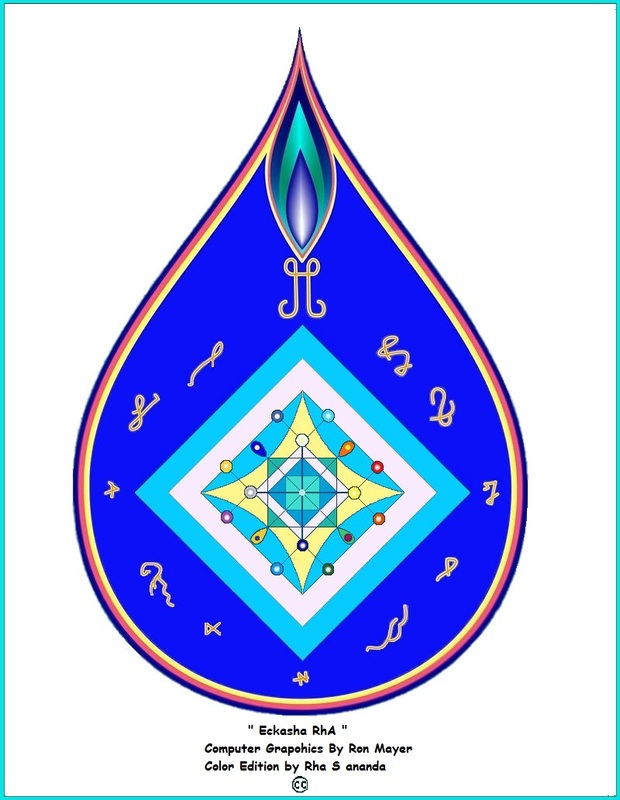 You can bring this 12D star into your Consciousness for complete protection from the 3D world. First see the star inside of your head. Feel the Christ Energy in the Star. Ask to feel the Christ Energy in the Star. Next, take the star down to the center of the Earth and ask it to collect the 13th dimensional energy of the Earth's Core. Bring the Star up to about one foot below the Earth's Crust. This is the place where the Christ Grid and Christ 12D frequencies are in the earth. Feel the star grow under you at this point. Feel this star of Christ energy grow under your feet. Next, bring the star up over your head, about one foot above the head. See a shield of Christ Energy and protection ENVELOPE your body. Place your body in this seal every morning when you wake up. And do it over and over again until you feel your self locked in this seal completely safe from anything in the 3D world. This is a gift from Christ. It is your divine right to have this protective seal and to use it. There is no reason to live anywhere except in the Christ Consciousness Energy Seal. The 6 pointed star is the geometric symbol of the 12th dimension and it carries the frequencies of that dimension (it is in the same shape as the Star of David, but it isn't the Star of David). White is the color of the 12th dimensional light and white light carries the frequencies of the 12th Dimension. 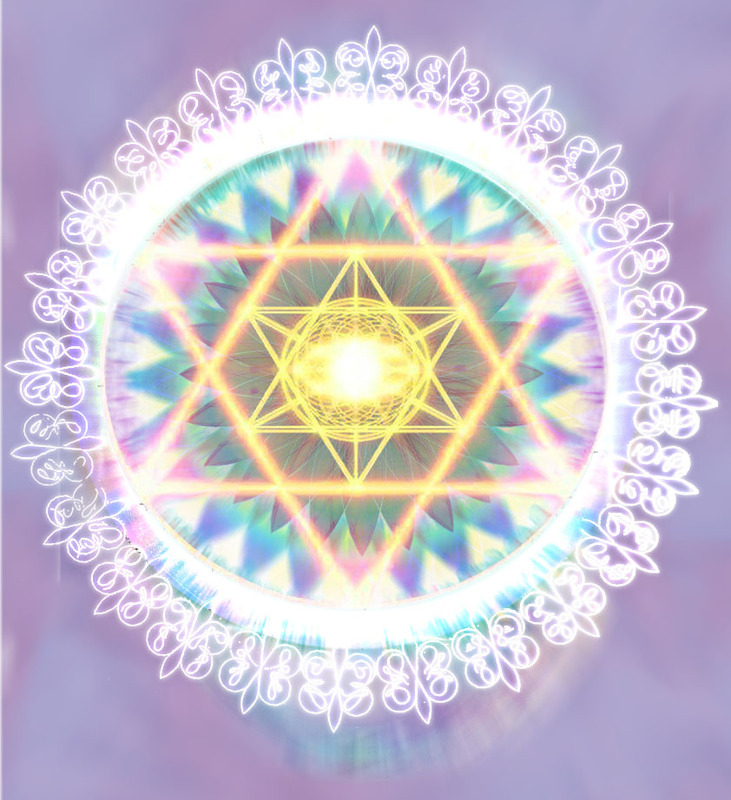 Using this symbol and light in meditation, you bring these frequencies in and it carries the codes to reset your Divine Blueprint of your perfect self that is free of all things that are unlike Source. The 12th Dimensional frequencies creates a strong and clear energy around you where lower frequencies that come next to these frequencies are transmuted to the higher 12th dimensional frequencies (the Law of Vibration) which gives you a strong, clear and free passage through all of the Spheres. Image Used For Educational/Non Profit FAIR USE! The 12th Dimension is the dimension of the Christ frequencies. The (your) 12th Chakra is located about 12 inches below your feet. 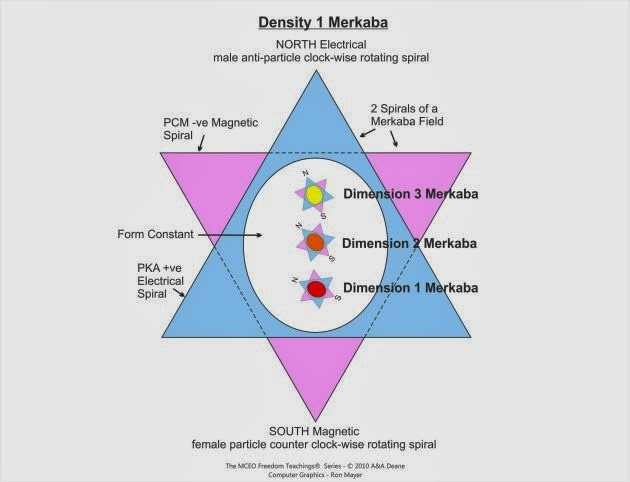 Your 12th Chakra contains the frequencies of the 12th Dimension (Christ Frequencies) and connects you directly to the 12th Dimension. Your 13th Chakra is at the core of the Earth and has 13th Dimensional energy. All of the Chakras work this way and connect you to the specific dimension of the Chakra. This is why the 4th Chakra is now the new base chakra for the 2nd Sphere - the New Earth and all of your chakras of 4 - 21 are wide open. The 1-3 chakras are now becoming like placeholders for all of the good things from them are moving up or have already moved up into the 4th and 5th chakras, and all of the other things from chakras 1-3 need to be demanifested so they are put to rest. The meditation contains making a flame hologram around you that comes out from the 12th Chakra that is 12 inches below your feet that goes up to Source and that goes down to the core of the Earth. The key to staying out of the confusing low frequencies of "the world" is to place your body within the flame that holds the frequencies of your Christ Self and to keep yourself emersed in the highest frequencies day and night. 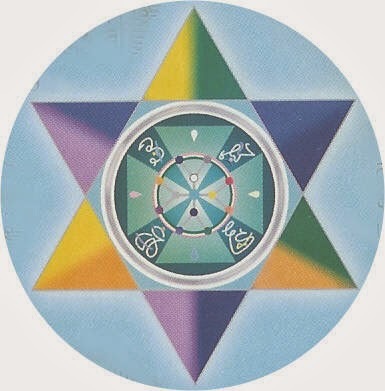 This hologram to place your body in is created by activating eight six pointed stars and infusing them 12th Dimensional frequencies then placing all 8 of the stars together into one star that becomes a sparkly white in color and then bringing that combined star into your Pineal Gland at the 6th Chakra at the center of your head and letting the energies flow through your entire body, bringing that star down to the core of the Earth to absorb the 13th Dimensional frequencies from your 13th Chakra and also absorbing all of the Earth's healing frequencies of love, then to bring it up to your 12th Chakra 12 inches below your feet, and then create a flame around your body that goes all the way up to Source and all the way down to the core of the Earth. If you find that the energy is a little too much for you using all 8 stars at once, you can make one six-pointed star and infuse it with 12th Dim. energy and do the meditiation. Once comfortable with that, you could keep increasing the amount of stars until 8 stars is comfortable enough to work with. 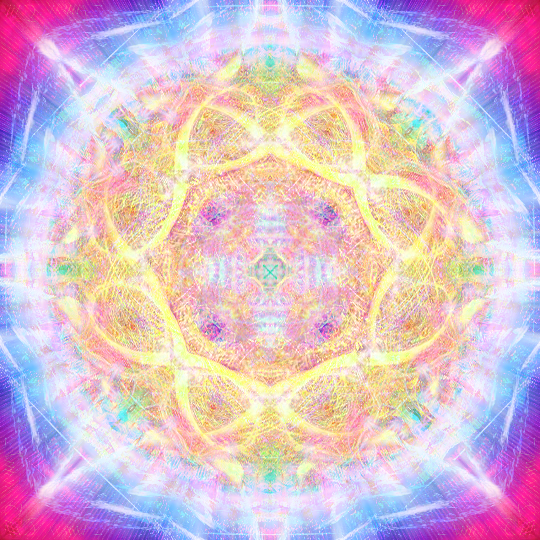 When you finish this Meditation you will feel your body encased in this flame - this Crystal garment around your body and thoughout your body that locks this frequency into and through you. When you start feeling "out of focus" do the meditation again. This is the beginning point of activating frequencies. The Real power - the real frequencies that raise us beyond this 3D Form are in the Earth and in the Universes beyond the Earth, which are also contained within you, once known. The Kingdom of Heaven is within. NOTE: I think of Breath as the Will of Spirit. My breath is what draws or moves divine energy/frequencies. My inhale generally draws energy. My exhale generally moves the energy. So, I generally inhale to draw frequencies and I exhale to move these specific frequencies to other places. Also, in meditation, I breathe in between doing thing and INHALE and EXHALE to move frequencies. NOTE: If my body starts to tense up when running frequencies, which it sometimes does because consciousness goes way faster than your body - the body is playing catch-up with the hightened frequencies and sometimes it's tendency is to tense up - it's normal. So, if that happens, just say, "My body is relaxed, Now" or/and "My chest is relaxed, Now" or/and "My throat is relaxed, Now." We are gods and are masters. NOTE: We are gods and we have the power to make things happen as we say, so we can easily say, "12th Dimensional frequencies, Now" and 12th Dimensional frequencies will start running through our body. That's the way it is. So be that. Co-Create your body shield, your personal energy field. 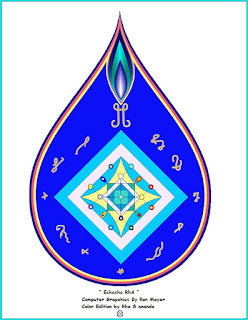 The 12th dimensional shield is a practice that fortifies & strengthens our Aura by reconnecting us to our 12th Dimensional blue print or Kryst/Krystal Body. As we shield ourselves, we learn energetic boundaries of our Aura. And then we can learn to boundary test our Aura to discordant energies that are uninvited. The shield also helps us to re-imprint our body to physical energy sustainability, & health achieved by bringing balance to the body. It also allows communication to be restored with our spiritual forces & star family. It also empowers our body, ourselves to re-awaken the wisdom of our true origins which may mean we start to decode light language or start to understand more about the hidden history of our planet & race. 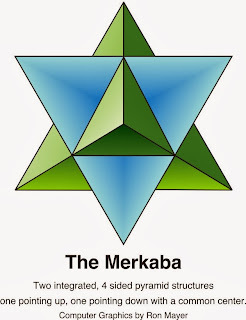 So as we work with the 12D shield, we use the six-pointed star, which is two triangles of Merkabah that is representative of our Merkabah Body. The 12th Dimensional Light Shield is an excellent way to build the integrity of your lightbody while repelling negative or dense energies from sticking to your energetic body/Aura. Otto Jakobson: In KS they use a lot of metatronic colors. Otto Jakobson: 10d blue-black is artificial, and 11d silver-black, also artificial. Otto Jakobson: The top and bottom parts of that tree are too elongated. They should be 90 degrees. Otto Jakobson: The central corridr is required for the connection between 6d and 7d. Otto Jakobson: Red-to-violet for 1-7 is often used by metatronic sciences, somehow it made it into KS. Otto Jakobson: A very good color for the node points is golden-silver-white. Otto Jakobson: Dimension 1 sphere can be white too. RaKa Isha: yep true,as below that is plasma again,..
color of the void, no dimension embodies that with the color black. you have blackblue in a whitegoldish encasing. its not that black..
Otto Jakobson: Black shouldn't be part of 10, 11d. That was a mistake. RaKa Isha: where does the greenishpart cme in than>howwise. the blu i get how downstep interrelatednesswise for 10. 11 i get. Otto Jakobson: Those colors are independent of the red-to-violet colors. They correspond to energy matrix plasmas. are a layer that is not fully healed, exists in a dualistic state.